Hyaluronic acid (HA) is a gel-like substance in the body that binds water. It provides hydration to tissue and acts as a cushioning agent. Hyaluronic acid is what fills the eyes, surrounds joints and nerves, and delivers moisture to skin. As a moisturizer, it helps the skin be smooth, soft and supple. Hyaluronic acid has become a popular ingredient in healthy-aging products. 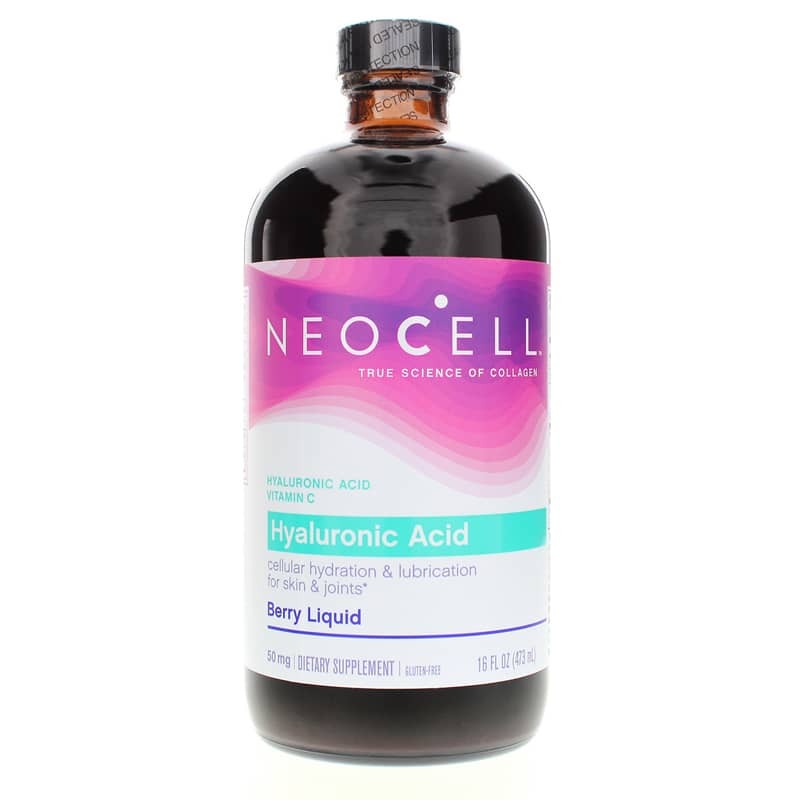 NeoCell offers a natural supplement called Hyaluronic Acid - Blueberry Liquid that seeks to support hydration and protection of skin, joint and eye tissue. Refrigerate this supplement after opening. It is free of gluten, soy, wheat, lactose, starch, yeast and artificial flavors. Refrigerate this product after opening. 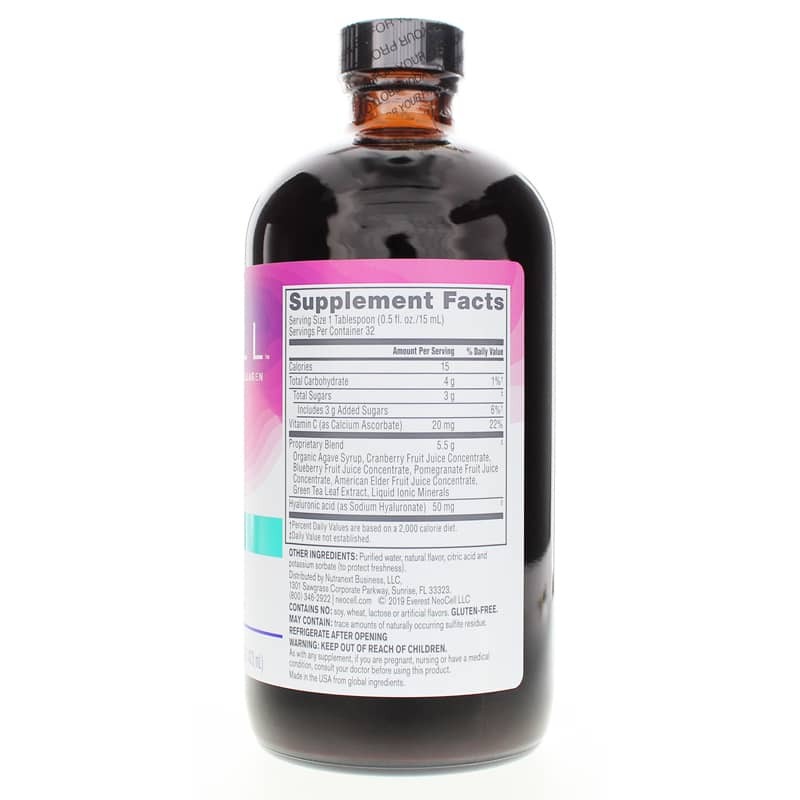 If you're looking for a natural supplement that seeks to support your skin, joints and eyes, consider NeoCell's Hyaluronic Acid - Blueberry Liquid. Other Ingredients: purified water, citric acid, natural flavors, potassium sorbate (to preserve freshness), and silicon dioxide. Contains NO: gluten, soy, wheat, lactose, starch, yeast or artificial flavoring. 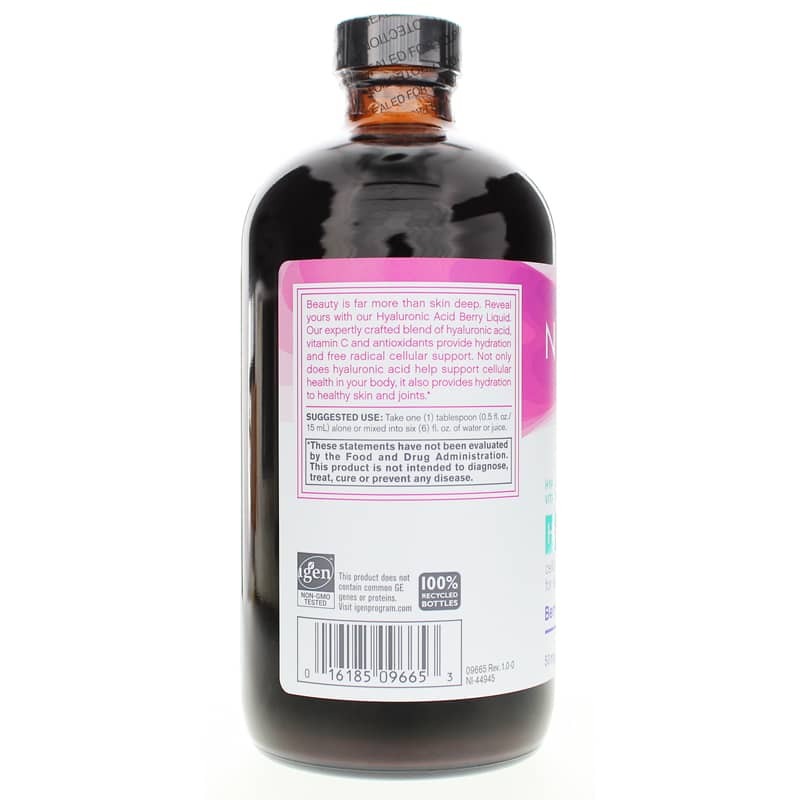 Adults: Take 1 tablespoon alone or mixed into 6 fluid ounces of water or juice. For maximum absorption, take on an empty stomach. Refrigerate after opening. If you are pregnant, nursing, or have a medical condition, please consult your healthcare practitioner before taking any dietary supplement. Keep out of the reach of children. I started taking this 40 days ago in hopes to address many joint issues. It tastes great and I will continue use. I expect it will take time to renew my joints. Quick service. Product exactly what I was looking for and it works excellent!! I take Blueberry Hyaluronic Acid for my joints. I run four days a week and it has helped immensely. I have it on auto ship so I never run out. It is the best. And it is delicious! !